Daniel Egbunu aka Ability is a song writer, music producer and Afro pop singer. He is currently signed to Slize entertainment . 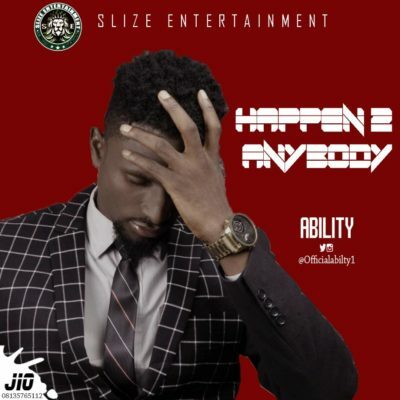 Ability’s new single “Happen To Anybody” is a song that will inspire the world.